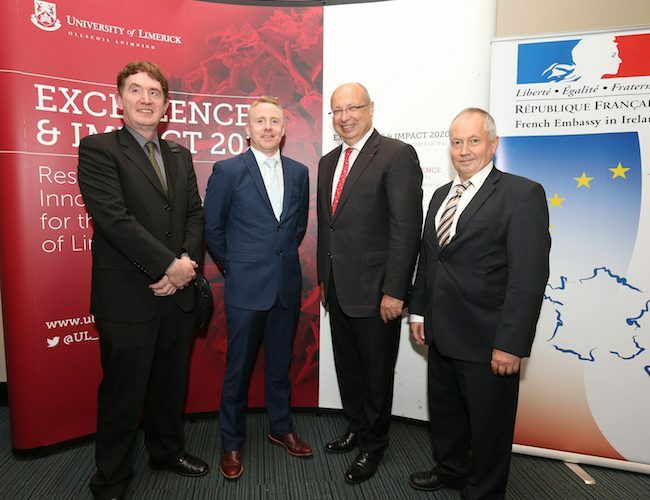 The first of its kind in Europe, a new Masters in Mechatronics has been introduced at University of Limerick (UL). The programme was developed along with industry expert Shane Loughlin of SL Controls, a leading Irish Equipment Systems Engineering firm, to address a serious skills shortage within the manufacturing industry across Ireland and Europe. Technologies such as automation, autonomous robots, the Internet of Things (IoT) and cloud computing have recently evolved and transformed the way manufacturing facilities are designed and supported. This innovation, known as the Fourth Industrial Revolution (Industry 4.0), has led to a skills shortage that until now was not addressed in third level institutions. The one year Masters programme is aimed at engineering graduates and those already working in automation and manufacturing who want to upskill in a rapidly changing professional landscape. From September 2017 UL will welcome more than 15 French and German graduates on to the course and are in discussions with several international third level universities. Shane Loughlin, CTO of SL Controls developed the programme with Course Director Seamus Gordon and now delivers several of the course modules. He said, “At SL Controls we have found that in a rapidly evolving Manufacturing Industry the skills expected from our future graduates will be vastly different to keep up with real world advances. We want to ensure the future of engineering in Ireland and to maintain Ireland’s reputation for educating top quality engineers. SL Controls and the University of Limerick have designed a state-of–the-art automation laboratory featuring four manufacturing lines where the course is delivered. Unique to this programme, 60 per cent of the modules are delivered by industry experts like Shane Loughlin; practitioners who have real world experience in automation and systems integration. The students have the opportunity to work on a replica manufacturing line, to integrate complex data and run tangible work scenarios in the automation lab – an innovation that puts UL graduates ahead of the Industry currently in Ireland. Management modules are included in the programme for example ‘Global Business Strategy’ to ensure that the graduates are equipped for the international market. Students can choose to specialise in automation or software paths.